Dr. Hugh Allen offers a wide range of services to his patients, including treatments designed to improve the appearance of their smiles. Allen Dental, Inc. provides cosmetic dentistry in Pembroke Pines, Miramar, and the surrounding communities. Call us today for aesthetic dental services! In seeking their ideal smiles, our patients commonly request brighter teeth. As we consume certain foods and drinks, our teeth become stained and discolored. 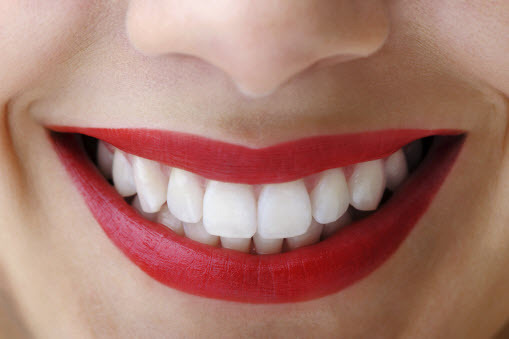 Our office provides teeth whitening services to reverse these effects and develop a brilliant smile. Teeth may have minor chips, cracks, or spacing issues that only require improvement for cosmetic reasons. If you need help with these dental issues, our Pembroke Pines cosmetic dentist supplies two treatments that can help: dental bonding and porcelain veneers. Dental bonding uses composite resin, the same material in tooth-colored fillings, to cover a tooth’s minor imperfections. Porcelain veneers, on the other hand, are sheaths of porcelain which are permanently cemented onto the front of teeth in order to create a more uniform smile. Veneers can also cover internal teeth stains, which cannot be treated by teeth whitening products. Each procedure has its own benefits and limits. Dental bonding requires no preparatory work, allowing Dr. Allen to complete the procedure in one appointment. Composite resin is also very easy to repair and replace, should the need arise. Conversely, porcelain veneers last much longer and cover larger spacing issues and chips than bonding can. Cosmetic dentistry is not just limited to aesthetic enhancement; some of the procedures improve the overall health of teeth as well. Porcelain crowns are a prime example. Crowns are caps used to protect and rebuild the structure of teeth which have experienced decay or trauma. While crowns are traditionally made at a dental laboratory in a two-week process, we can provide CEREC porcelain crowns in office under two hours. Porcelain has enough strength to stand up to the daily pressures of chewing and biting, and the material has the same color and luminosity as naturally healthy teeth. By receiving porcelain crowns, your smile’s health and beauty are both enhanced. Allen Dental, Inc. provides these and other cosmetic dental services for patients in Pembroke Pines and the surrounding areas. To find out more regarding our cosmetic dental services, call our practice today!